What's the cheapest rental available in Overbrook? 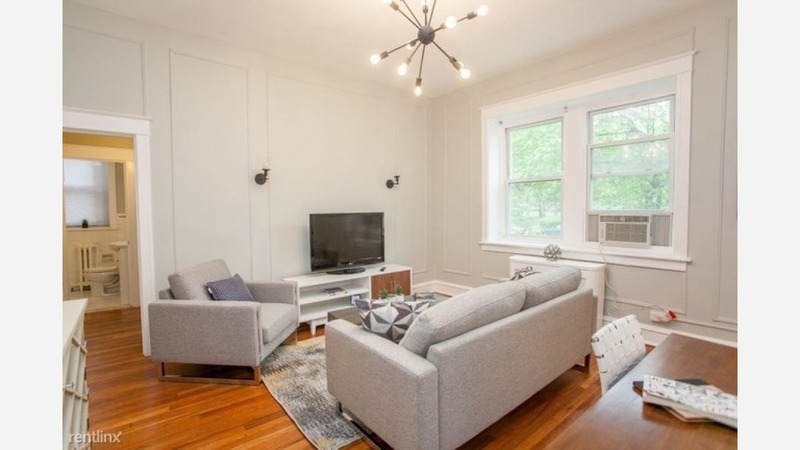 According to rental site Zumper, median rents for a one bedroom in Overbrook are hovering around $775, compared to a $1,476 one-bedroom median for Philadelphia as a whole. But how does the low-end pricing on an Overbrook rental look these days--and what might you get for your money? We took a look at local listings for studios and one-bedroom apartments to find out what budget-minded apartment seekers can expect to find in the neighborhood, which, according to Walk Score ratings, is quite walkable, is fairly bikeable and boasts excellent transit options. Listed at $625/month, this one-bedroom, one-bathroom, located at 1687 N. 56th St., is 19.4 percent less than the $775/month median rent for a one bedroom in Overbrook. The unit features carpeted floors, wooden cabinetry, a stove, closet space and in-unit laundry. Pet owners will be sad to hear that cats and dogs are not welcome here. This one-bedroom, one-bathroom, situated at 402 N. 64th St., is listed for $700/month for its 409-square-feet of space. Apartment amenities include hardwood flooring, closet space, granite countertops, wooden cabinetry and large windows. Cats and dogs are permitted. Here's a studio dwelling at 329 N. 64th St., which is going for $750/month. In the unit, expect hardwood flooring, in-unit laundry, two spacious closets, wooden cabinetry and built-in storage features. Cats and dogs are not allowed. Then there's this apartment at 6358 Lancaster Ave., listed at $850/month. On-site laundry and assigned parking are offered as building amenities. The unit features hardwood floors, high ceilings, wooden cabinetry, granite countertops and ample natural light. Good news for animal lovers: both dogs and cats are welcome here.